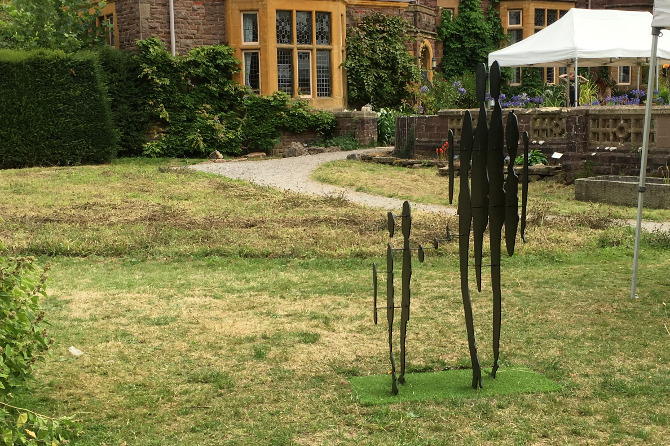 This artwork is currently in situ at Bristol Botanic Garden. 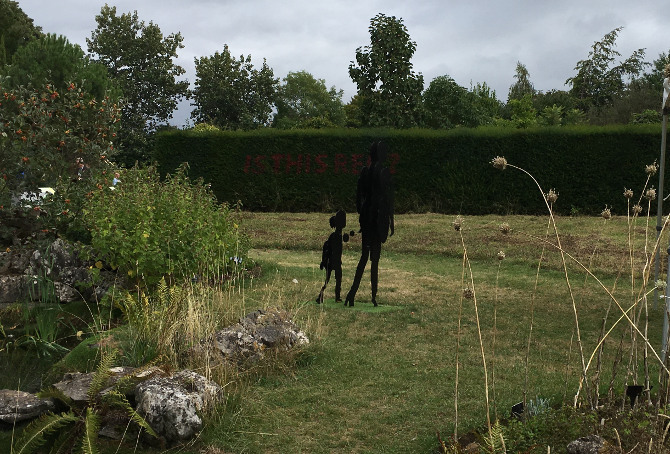 Created by Luke Jerram, it’s part of his exhibition The Impossible Garden, which warns us not to take what we see at face value. It’s entirely possible, he reminds us, that nothing is quite as it seems. Use this as your starting point. What could seem real, but might be entirely false? What disturbing truths could lurk just below a veneer of normality? And if you get the chance, do visit the exhibition. Set against the curated wilderness of the Garden, it’s designed to make you questions your impressions of your surroundings in every day life, and is also provide rather beautiful additions to an already contemplative space The Impossible Garden will be in place until Sunday 25th November 2018, so you have plenty of time. Or so it seems.